View More In Table Lamps - Page 2. 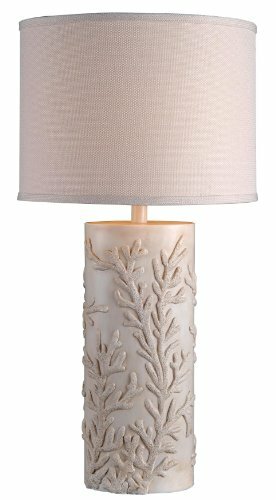 Natural branches and coral textures are teeming with life on this wavy reef relief patterned lamp. Take the beauty of the gulf back to your beachside manor. 15-inch diameter white oval drum shade tops this lamp. Uses one 150-watt three-way bulb with a three-way socket switch.